NORTH BAY, Ont. 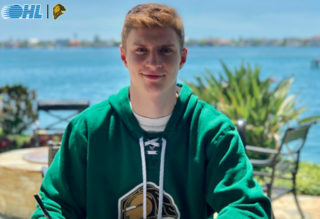 — Right winger Justin Brazeau has been appointed captain of the North Bay Battalion, the Ontario Hockey League club announced Tuesday. Brazeau, a 20-year-old native of New Liskeard, Ont., succeeds defenceman Riley Bruce to become the fifth captain in the Battalion’s North Bay history. 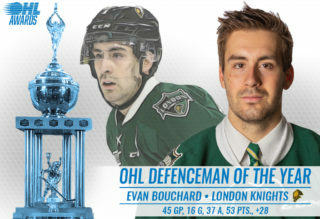 Barclay Goodrow, who also filled the role in the club’s 15th and final season in Brampton, was the first, in 2013-14, followed by Marcus McIvor and Mike Amadio. 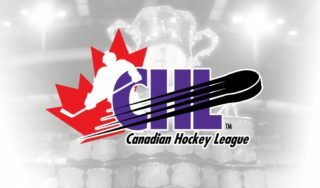 Centre Matthew Struthers and defenceman Cole Cameron were named fulltime alternates, while centre Kyle Potts, for home games, and left winger Brad Chenier, on the road, are to split duties as alternates. Brazeau, six-foot-six and 226 pounds, paced North Bay in scoring last season with 39 goals and 36 assists for 75 points in 68 games. 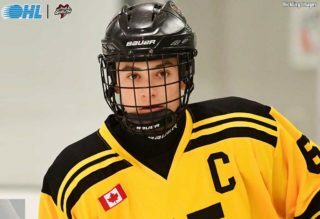 A 13th-round pick in the 2014 OHL Priority Selection from the New Liskeard Cubs major midgets, he has scored 67 goals and earned 58 assists for 125 points in 200 OHL games. Struthers, who turns 19 on Dec. 26, was acquired in a trade Jan. 3 with the Owen Sound Attack, after which he scored 14 goals and added 13 assists for 27 points in 30 games with the Troops. In 175 OHL games since Owen Sound made him a third-round pick in 2015 from the Halton Hurricanes minor midgets, he has 38 goals and 39 assists for 77 points. Struthers, a six-foot-two 209-pounder from Milton, Ont., was an alternate for the latter half of 2017-18. Cameron, a 20-year-old resident of Johnstown, Ont., was acquired in a trade Thursday with Owen Sound. The five-foot-11 175-pounder signed with the Attack as a free agent in 2016. In 127 OHL games over two seasons, Cameron has scored two goals and added 14 assists for 16 points. Overager Potts was a fifth-round choice in 2015 from the Oakville Rangers major midgets. 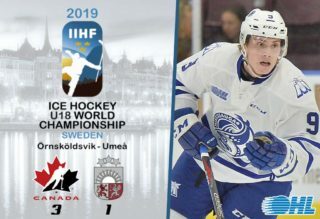 Standing six-foot-four and weighing 211 pounds, the Mississauga native scored nine goals and earned 16 assists for 25 points in 61 games last season. In three OHL campaigns, he has 26 goals and 31 assists for 57 points in 188 games. Chenier, a Hanmer, Ont., resident who was born in Kitchener, turns 20 on Jan. 20. The five-foot-11 182-pounder was a fourth-round pick in the 2015 OHL Priority Selection from the Sudbury Wolves minor midgets. He scored 17 goals and added 14 assists for 31 points in 66 games last season after producing seven goals and eight assists for 15 points in 68 games as a rookie. Eleven players served as captain with Brampton before Goodrow, including Jay McClement, Ryan Oulahen, Wojtek Wolski and Cody Hodgson. For more information visit battalionhockey.com.